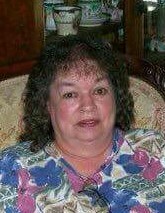 Ruth (Rentz) Hayes, age 77 of Olney, passed away at 8:14 AM on Sunday, July 1, 2018 at Carle Richland Memorial Hospital in Olney. Funeral service will be at 10:30 AM on Saturday, July 7, 2018 in the chapel of Thrasher Family Funeral Home. Visitation will be one hour prior to service. Burial will be at Maple Dale Cemetery in Olney. Ruth was born on November 27, 1940, in Hunt City, the daughter of Delbert and Anna Katherine (Rentz) Olinger. She worked in health care for many years working with disabled people. She enjoyed spending time with her family and especially her grandchildren. She enjoyed playing bingo and was a member of a bowling league for many years. She will be sadly missed by her family, friends and all who knew her. Ruth is survived by her father Delbert Olinger of Willow Hill; 2 sons Steve Chapman of Olney and Jack Chapman of Olney; 3 daughters Debbie Fulk of Albion, Carla Chapman of Bone Gap and Angie Hayes of West Salem; 2 brothers Danny Olinger (Carol) of Newton and Dan Curtner (Cheryl) of Florida; sister Lydia Parrent (Bill) of Willow Hill; 13 grandchildren and 12 great-grandchildren. She was preceded in death by her mother Anna Katherine Olinger, son Randy Chapman and grandson Joshua Cheyenne Read. Memorials can be sent to the Humane Society of Olney in memory of Ruth (Rentz) Hayes.